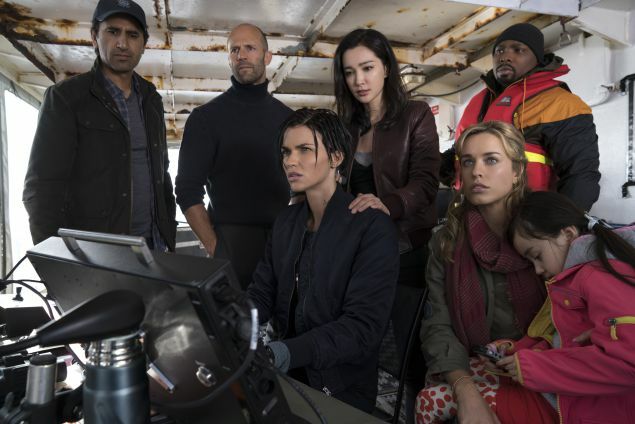 Principal Cast : Jason Statham, Li Bingbing, Rainn Wilson, Ruby Rose, Winston Chao, Cliff Curtis, Shuya Sophia Cai, Page Kennedy, Robert Taylor, Olafur Darri Olafsson, Jessica McNamee, Masi Oka. The Meg has several things working in its favour. The twin selling points are that it features a giant shark, and Jason Statham, and at some point you just know The Stath™ and the Meg are gonna come eye-to-eye in a climactic showdown, and let’s face it, who doesn’t want to see that? 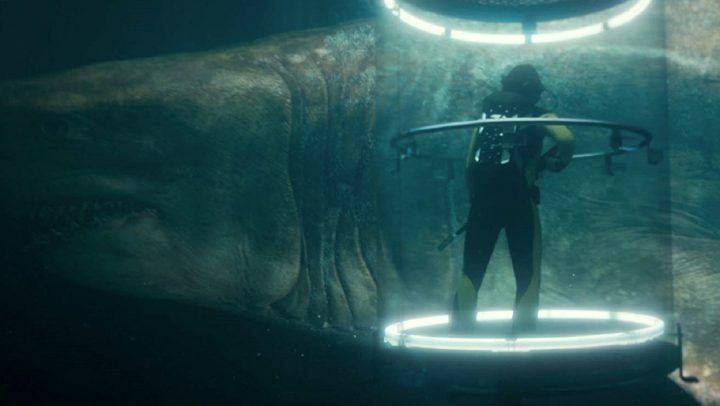 The Meg’s plot is barrel-bottom basic in every sense, carbon copied from all manner of every B-movie premise you can imagine, from its international ensemble cast, a preposterously unfathomable monster (that was a deep sea joke), and a leading man so stone cold ready to punch a shark it’s not even funny; everything about this movie is ridiculous, but I’ll go to my grave telling everyone it’s a heck of a fin time at the movies. Get it? Fin? Aaaaaah. Deep-sea rescue diver Jonas Taylor (The Stath) refuses to return to the ocean following the sudden destruction of a nuclear submarine that he barely escaped with his life from. Now, a research team deep beneath the bottom of the Mariana Trench – Lori (Jessica McNamee), The Wall (Olafur Darri Olafsson) and Toshi (Masi Oka) – is trapped following an attack on their vessel by an unknown entity. Above them, their teammates, led by Jack Macriedes (Cliff Curtis) and financier Jack Morris (Rainn Wilson) have to recruit Jonas to save the stranded crew, only to come to the conclusion that the same mysterious entity that attacked the research sub also destroyed a full-sized nuclear submarine earlier. A giant shark. The only real exploitative deficiency The Meg suffers is that it doesn’t feature an appearance by Samuel L Jackson, who wasted his one shark film role in Deep Blue Sea. In fact, The Meg owes a lot to that seminal Renny Harlin “classic”, with its similarly self-aware tone and absolutely idiotic premise and characters, all of whom are supposedly scientists but absolutely none of whom exude any legit science cred. It also follows a cliched Ten Little Indians plot mechanism, as the titular shark whittles down the ensemble cast one-by-one (in increasingly hilarious methods) until – as you’d expect – The Stath must face off the with creature in a mano e sharko showdown that has to be seen to be believed. The screenplay is credited to a clutch of writers, but it’s most notably an uncredited touch-up job performed by Zodiac scribe James Vanderbilt that saves a lot of it here; it matters little because nothing about this film makes a jot of sense. 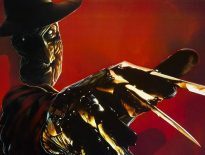 The film doesn’t so much offer cool characters as it does a roster of instantly forgettable secondary characters who exist solely to dodge the giant shark. The roster of talent assembled to face down toothy Timmy here is cool enough, from Cliff Curtis’ solid team leader, Li Bingbing’s doe-eyed romantic interest, and Rainn Wilson’s hammy Elon Musk-like character, as well as splendid supporting work from one-time Matrix Agent Robert Taylor, former Heroes actor Masi Oka, neither of whom (spoilers) make it to the end. Token black guy Page Kennedy, as the jovial, sarcastic DJ, approximates a similar role to that of LL Cool J’s work in Deep Blue Sea. However, where sense and reason are absent, fun fills the void. And much like its sharky cinematic brethren, The Meg makes full use of its own silly premise and simply offers balls-to-the-wall fun, a rollercoaster ride of zany setpieces and magnificently stupid thrills. The film utterly lacks any real tension, so if you’re here for a Spielbergian Jaws-esque experience forget it. Director Jon Turteltaub, the visionary behind such titles as National Treasure and The Sorcerer’s Apprentice, helms the film with a style best described as “workmanlike”. Turteltaub has neither the visual tenacity or creative nuance to elevate the material much past simple shock-and-awe jump scares, and even those are easily predictable. He fails utterly to build tension in any of the potentially horrifying sequences where the shark is attacking – or being attacked – and the popcorn munching crowd may well leave the theatre displeased that they really don’t get the ride the poster promised. Why spend time waiting for the shark to attack when you can cut right to showing it attacking…. cool. 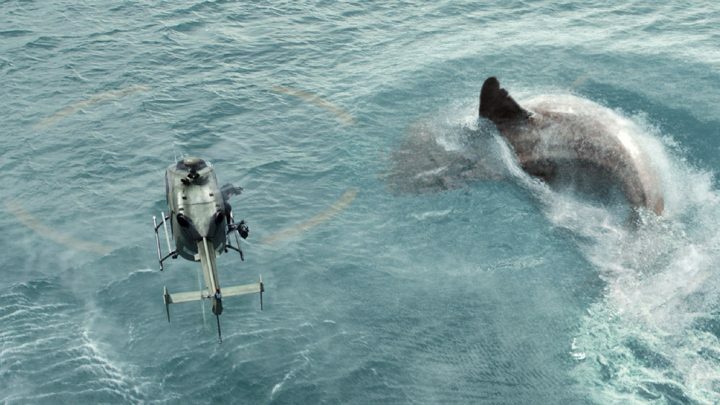 Rather, The Meg is a slack-jawed, easy-peasy, lowest-common-denominator creature feature that wastes its considerable cast and boneheadedly obfuscates the true terror of a gigantic shark terrorising the planet, although a cool climactic sequence, in which the shark swims through hundreds of beachgoing Chinese residents (the film was partially funded by Chinese interests, hence the inclusion of Li Bingbing and Winston Chao among the cast) in Sanya Bay, is thoroughly enjoyable, even if the off-kilter humour and nonsensical editing hamstring the scene considerably. Most of the film’s like this, with cool preamble moments designed as a precursor to terror giving way to… well, meh, for want of a better word. 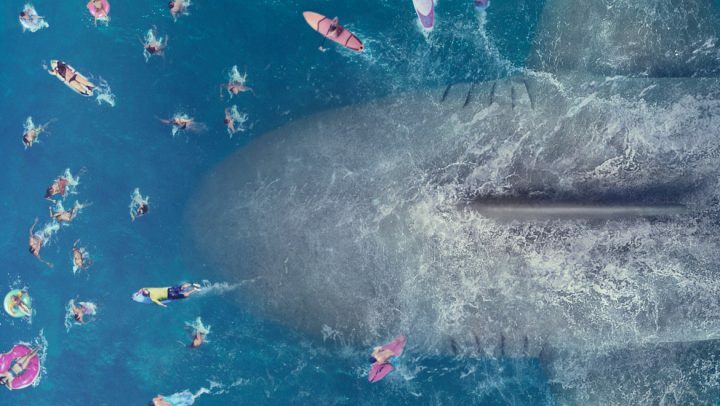 It’s a shame, because the premise had every chance of being legitimately scary (not Jaws scary, but scary nonetheless) and a better-than-it-is film overall; Turteltaub fumbles the ball often with The Meg, and while it’s a shamelessly stupid fun piece of cinema junk, it could have been a lot more. Perhaps calling The Meg as missed opportunity is cutting too deep, for the film never asks us to think much beyond what’s happening on the screen in any given moment. 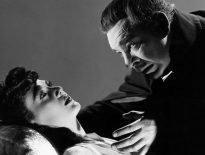 It’s a wasted opportunity of potential, a film that squanders much of its enormous budget (most of which is visible on the screen, it has to be said) on slipshod scares and anaemic tension amid the burly and brine of the megaladon’s scouring of our ocean. It’s bloodless PG fare, naturally, designed by committee to be as accessible as possible to audiences who want to see a giant shark tearing up the screen, and consequentially the bite the premise might have is toothlessly redundant. The shark is cool, The Stath™ is square-jawed but underserved (and unable to really chew into his character properly… ha) and there are aspects of the film that bring legitimate fun and engagement. I had a blast with it for this fact alone. Mainly, however, the generic direction, iffy characters and poorly concocted action sequences leave a lot to be desired, so your mileage may vary.